Thomas Bayrle’s art explores the connections between technology and society. 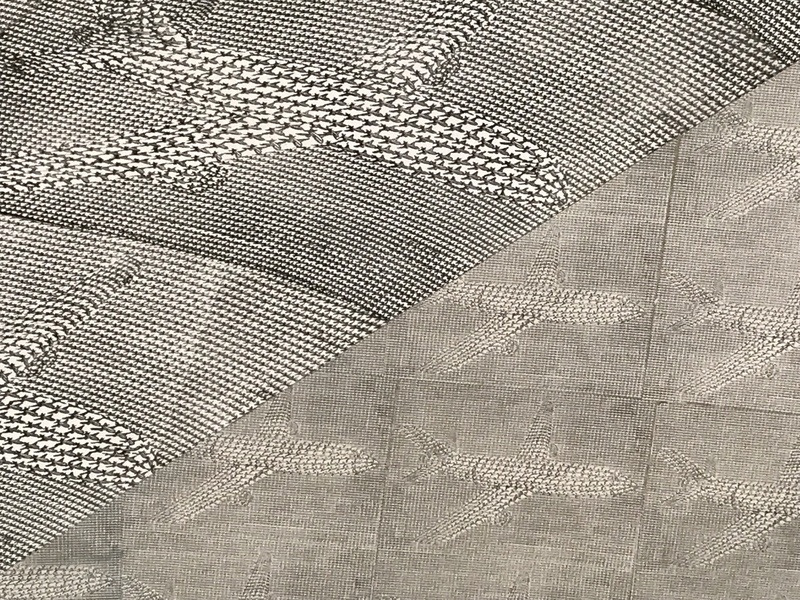 He creates large images through the repetition of a smaller images. 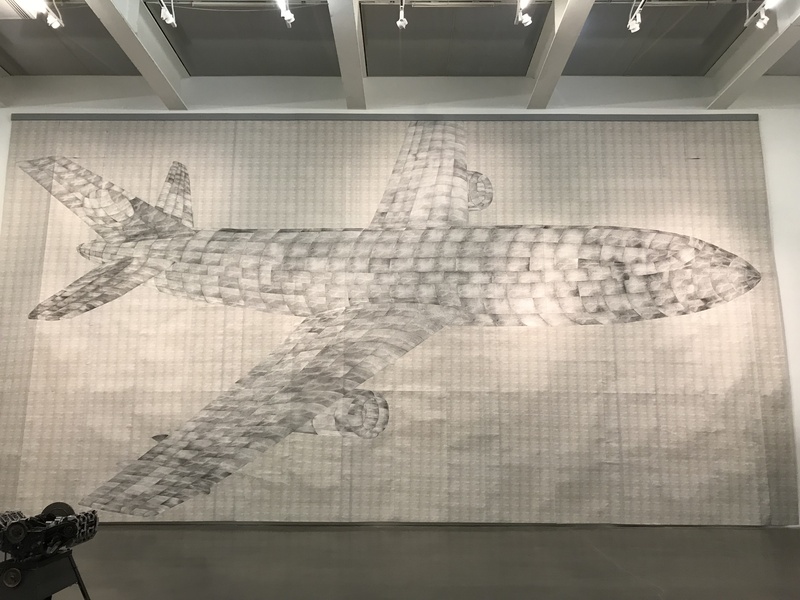 The enormous paper photo-collage work “Flugzeug (Airplane)” from 1982-1983 is currently on display at The New Museum in Bayrle’s solo exhibition titled “Playtime”. The gigantic (full scale) airplane is made up of 14 million tiny planes. The artist addresses the mathematical concepts of scale and self-similarity as they relate to digitization and the standardization world infrastructure systems.